DIY: How to Make An Awesome Gingerbread Geodesic Dome House! 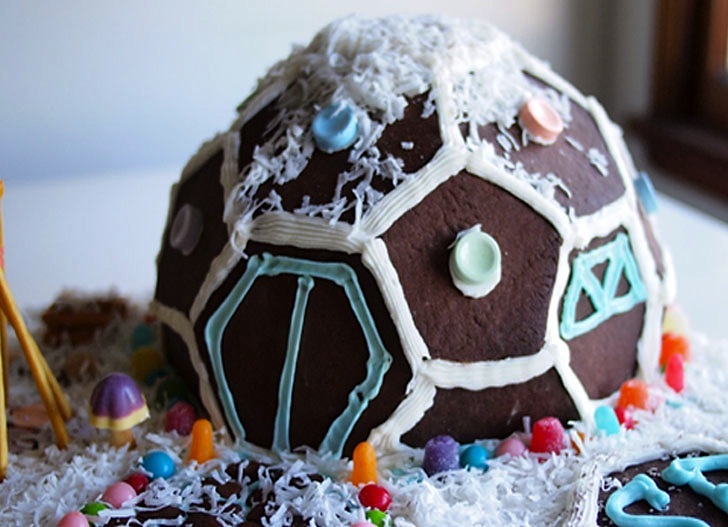 This awesome Gingerbread Geodesic Dome by Scout Regalia puts normal gingerbread houses to shame, and guess what? You can make one of your own! The LA-based design firm has created a template of the dome as well as recipes for both the gingerbread and icing that you can order in the mail. Step in to see a snappy 2 minute video that shows you exactly how easy it is to make one of these at home. Surprisingly revealing many many thanks, I do think your readers may well want further blog posts such as this carry on the fantastic operate. So don't wait a minute longer... go out and order your own!